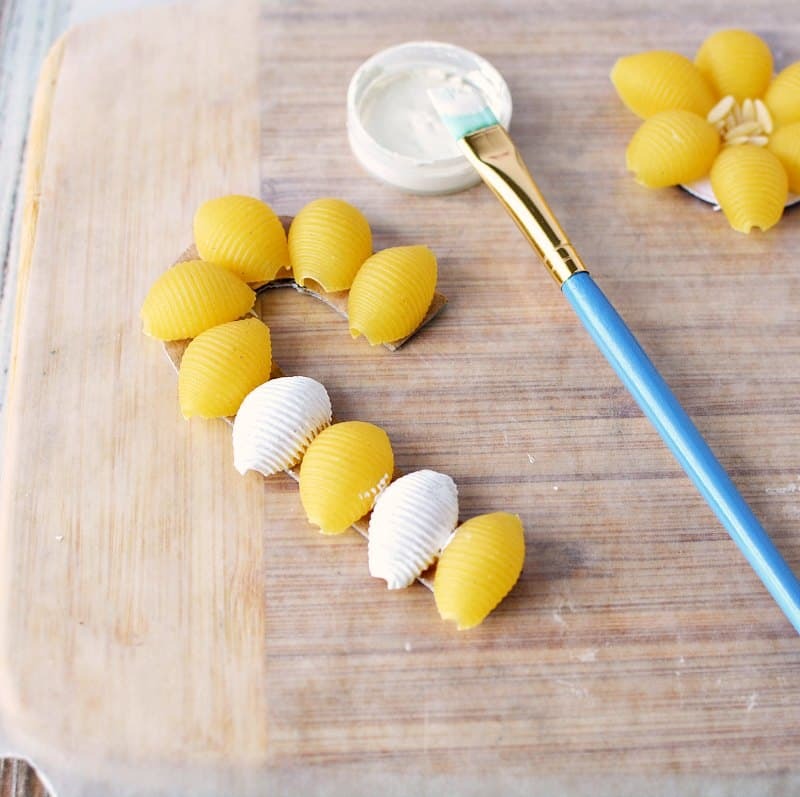 Make pasta Christmas ornaments with pasta, cardboard, paint and glue. Great for kids and adults! When I was a kid one of my favorite places to hang out was the town library. I grew up in a small town and the library was just as small. They always had tons of fun events for kids. One year they had a Christmas ornament making party. My 2 sisters and I walked the two blocks to the library and had a ball making Christmas ornaments. 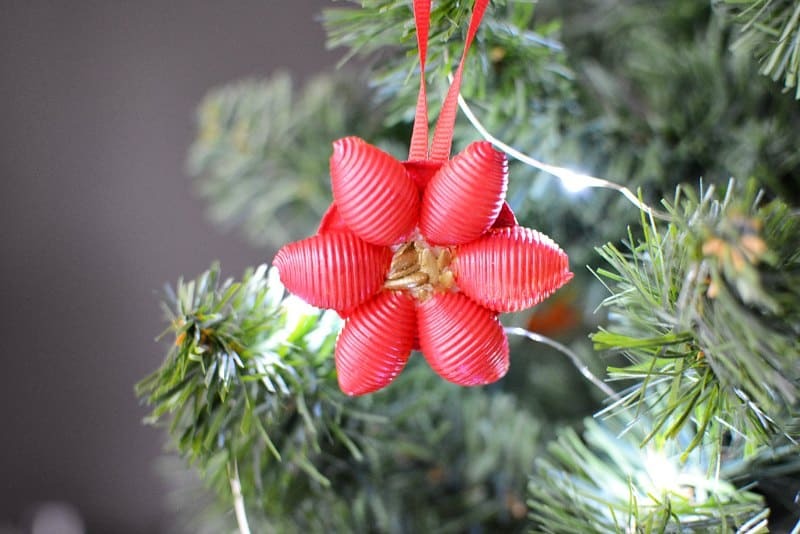 One of the ornaments we made was cardboard circle that we glued pasta on and spray painted gold. I still have that decoration! 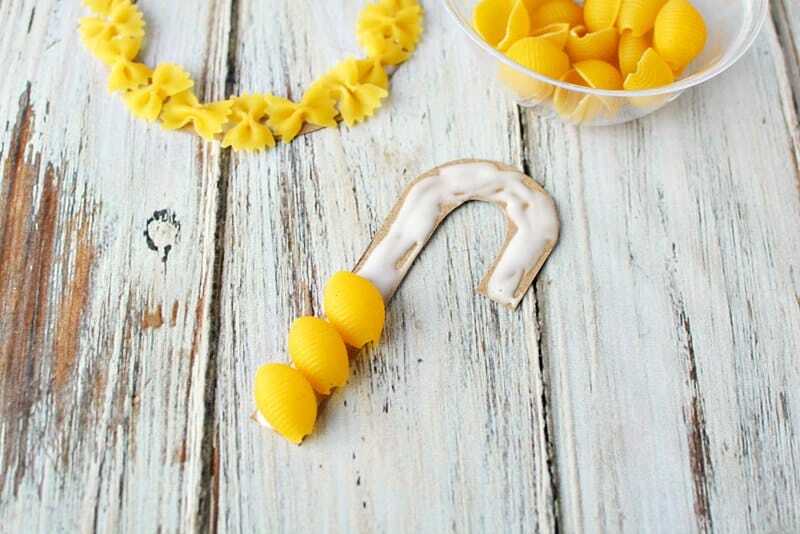 These pasta Christmas ornaments are much cooler than my gold wreath. 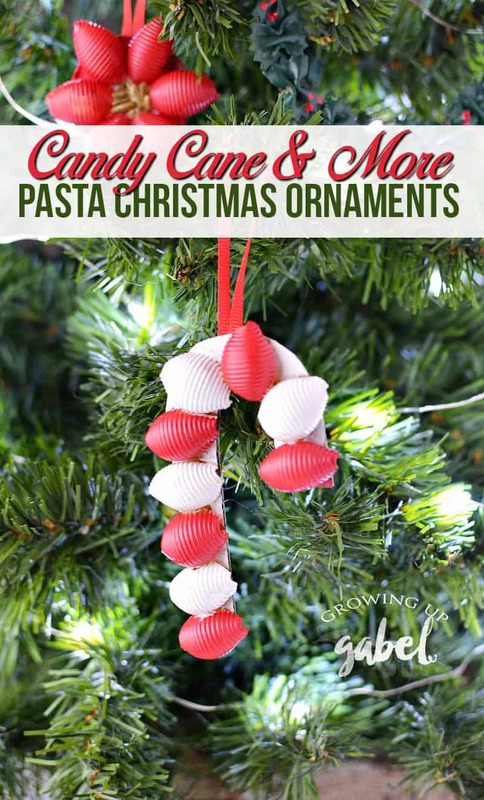 You can make three different ornaments – candy canes, wreaths, and poinsettias – using three different pastas. They are fun to make and great for kids! Cut a piece of cardboard in a candy cane shape. Ours was about 4″ tall. 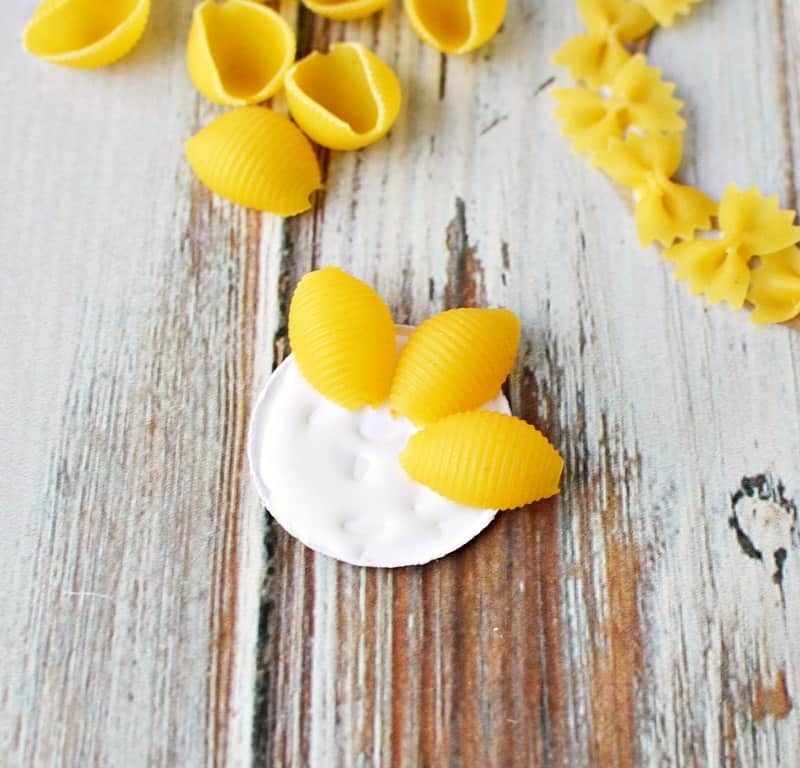 Add a generous amount of white glue to the cardboard and attach medium pasta shells at an angle. Let set to dry completely. 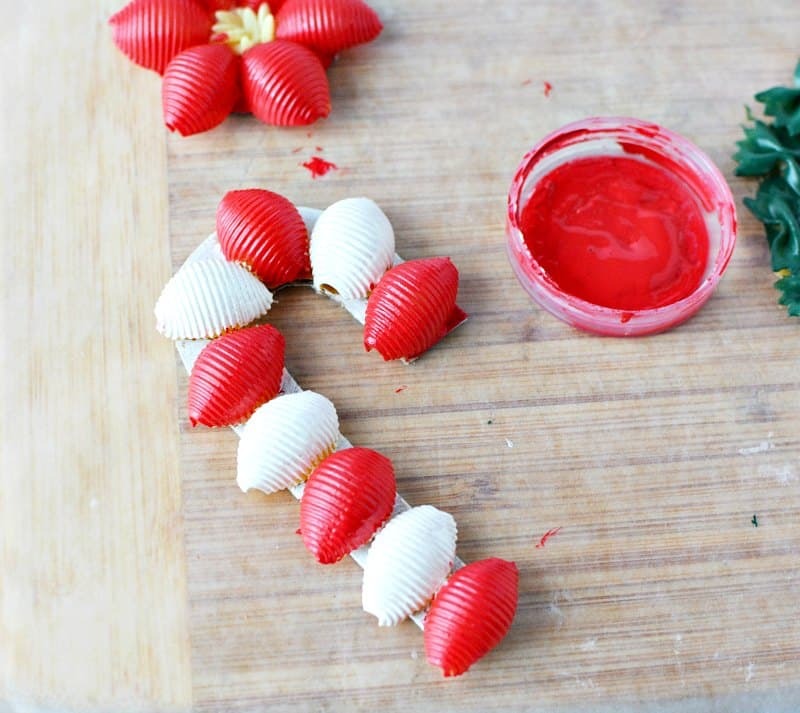 Once dry, paint the candy cane red and white, alternating colors. Let dry. 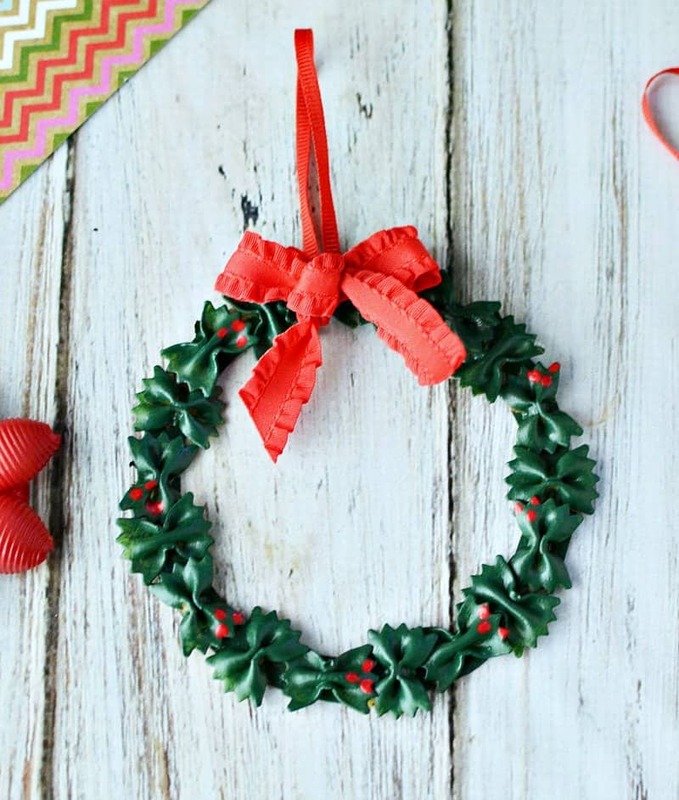 Cut a piece of ribbon and attach it to the back of the ornament with white glue. Let set to dry. Trace and then cut a 4″ circle out of cardboard. Old cereal boxes are great for this! 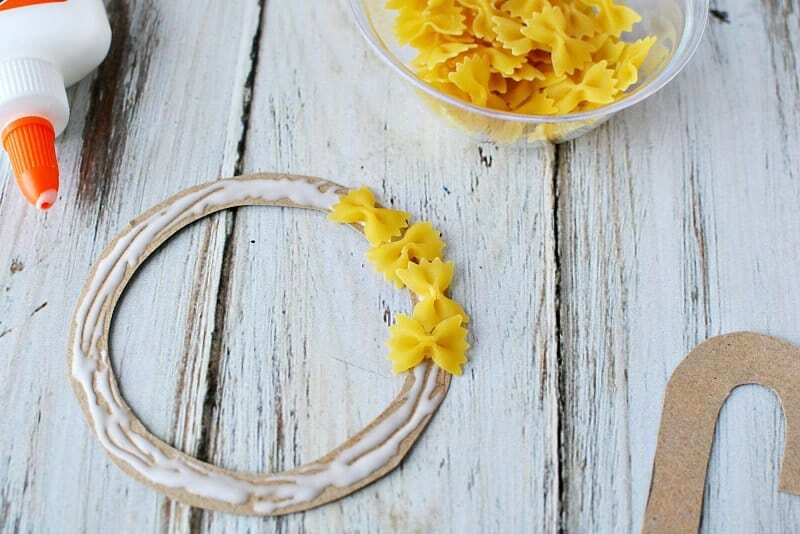 Place the pasta onto the cardboard, near the outer edge and draw a circle inside, the width of the pasta. Cut out the center and discard. Generously add white glue. 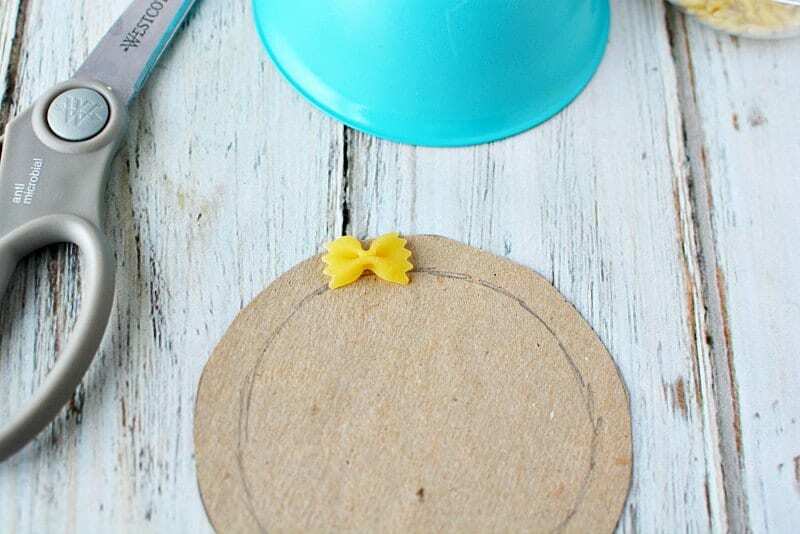 Attach mini farfalle pasta on the top of the glue alternating each one vertical and then horizontal. Let set to dry. 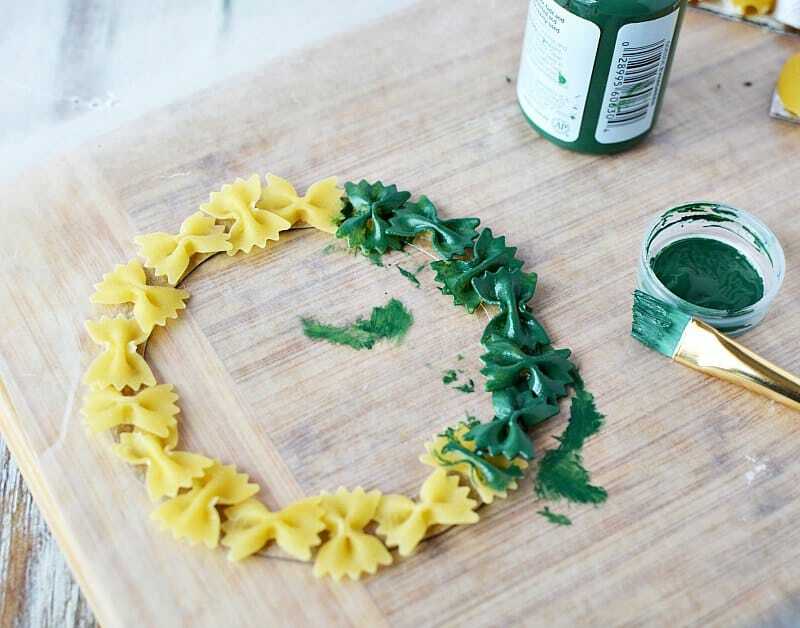 Use green paint to paint the pasta. 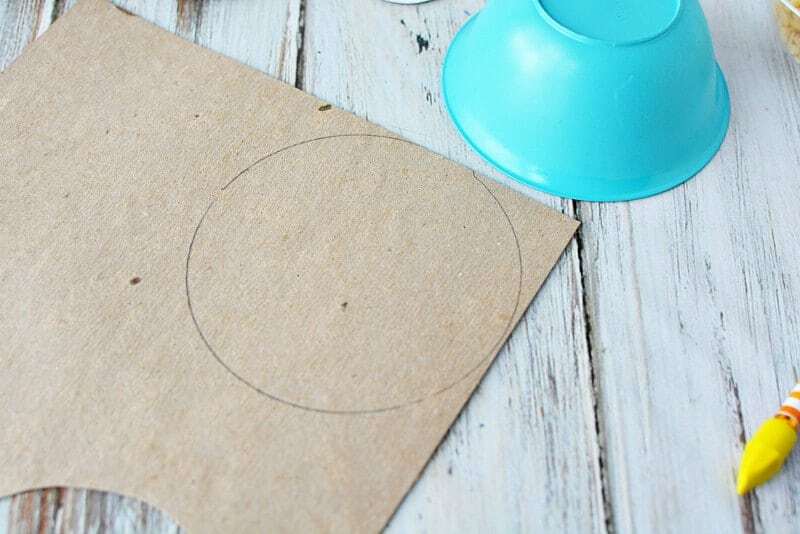 Use a sheet of wax paper or a paper plate to make clean up quick and easy. Let dry. 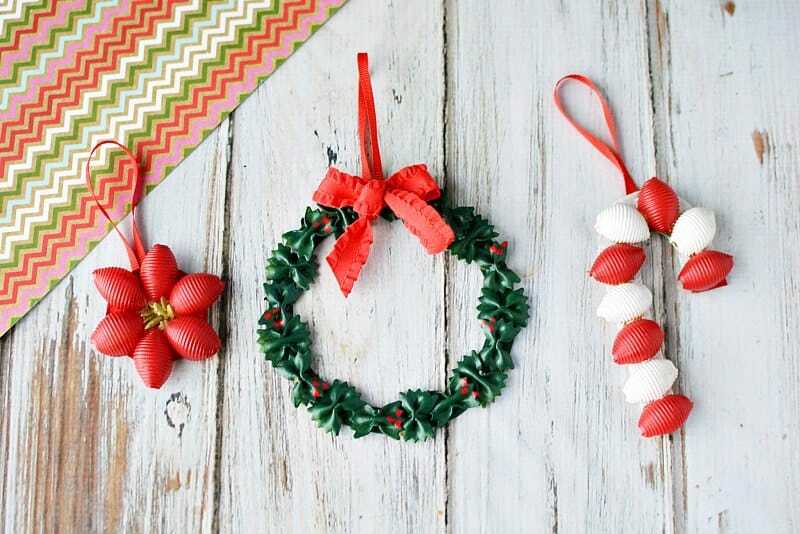 Once the green paint is dry, use red paint and a small paint brush to add berries to the wreath. Let dry. Make a bow with some ribbon. 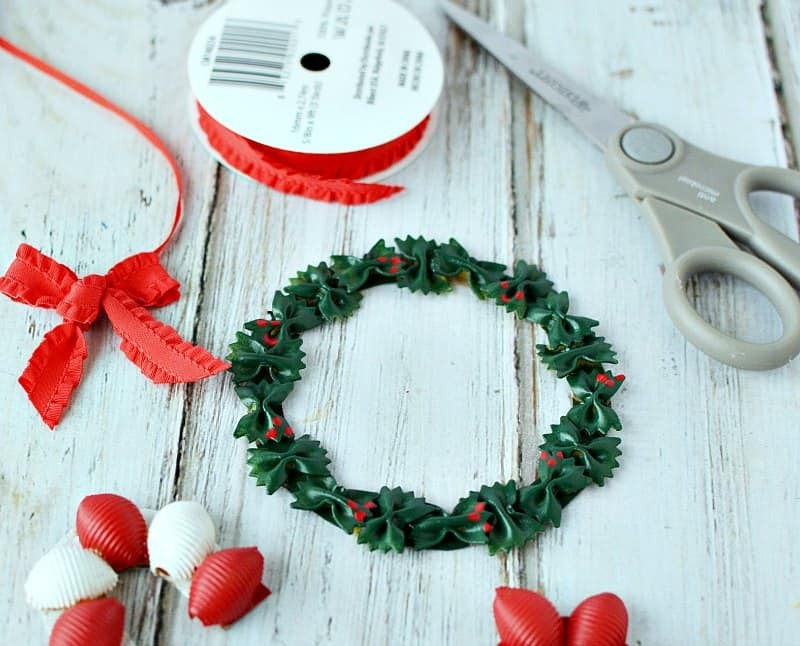 Attach to the front top or bottom center of the wreath with glue. Flip the wreath over. 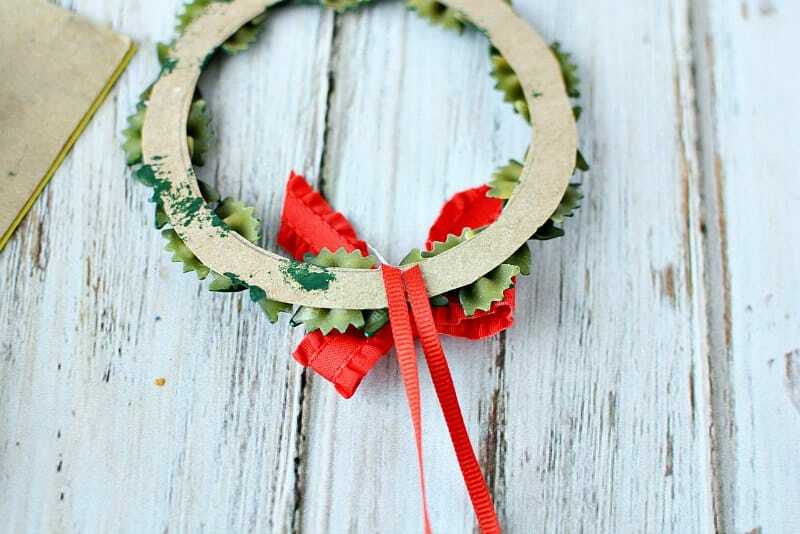 Attach a ribbon to the back with white glue to hang. Let set to dry before hanging. 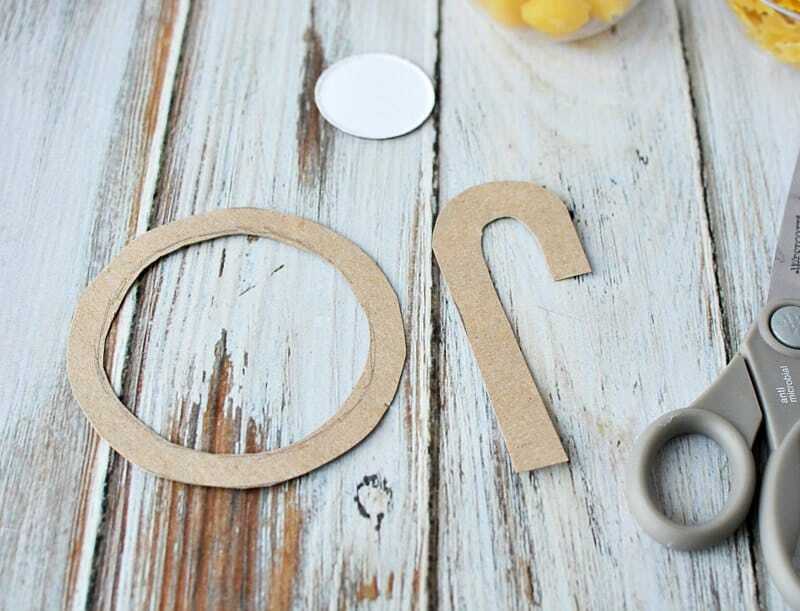 Cut out a 1-1/2″ diameter circle from cardboard. Generously apply glue and attach 6 medium shells, leaving the center open. 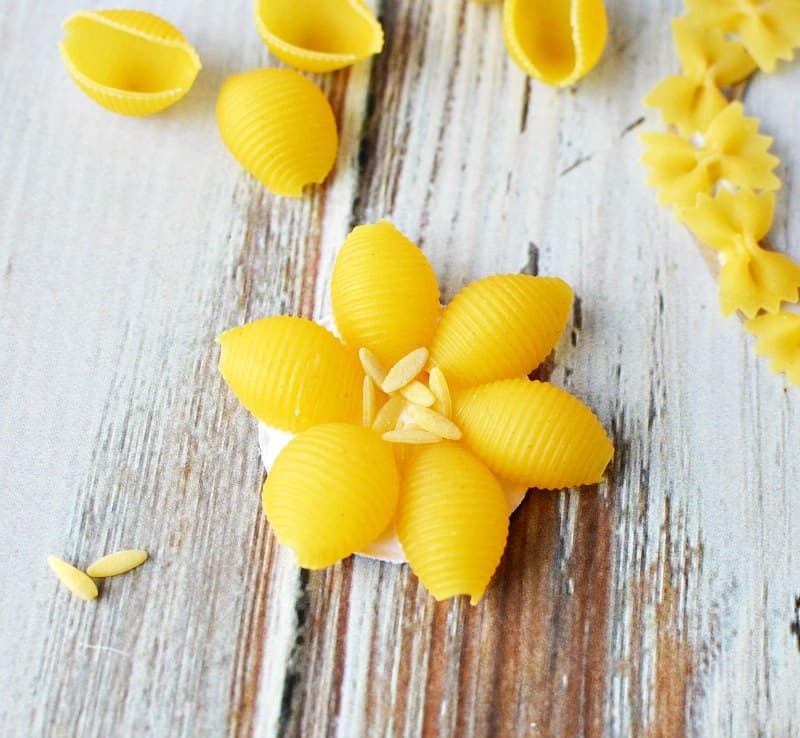 Add glue to the center and sprinkle in orzo pasta. Let set until dry. Shake any excess orzo pasta off and discard. 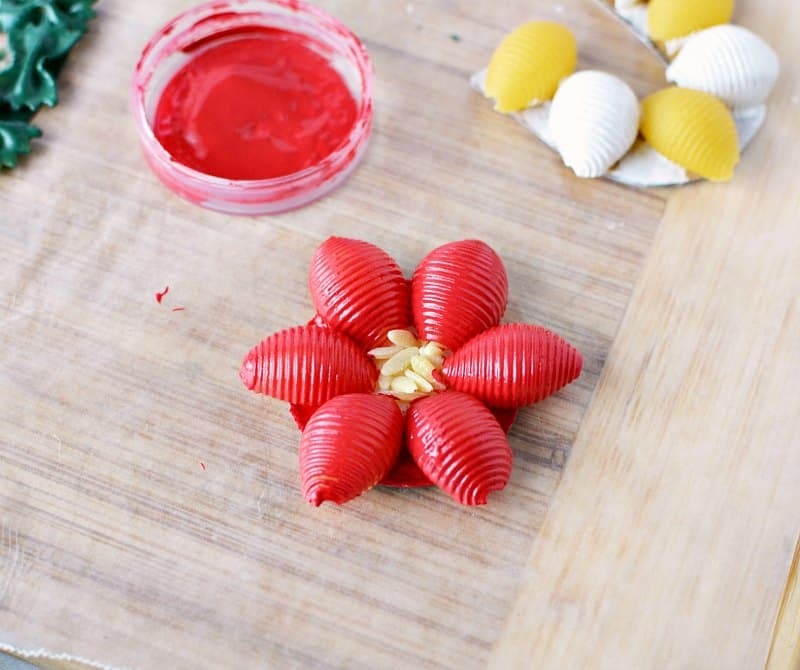 Use red paint to paint the flower and metallic gold for the center. Let set to dry. 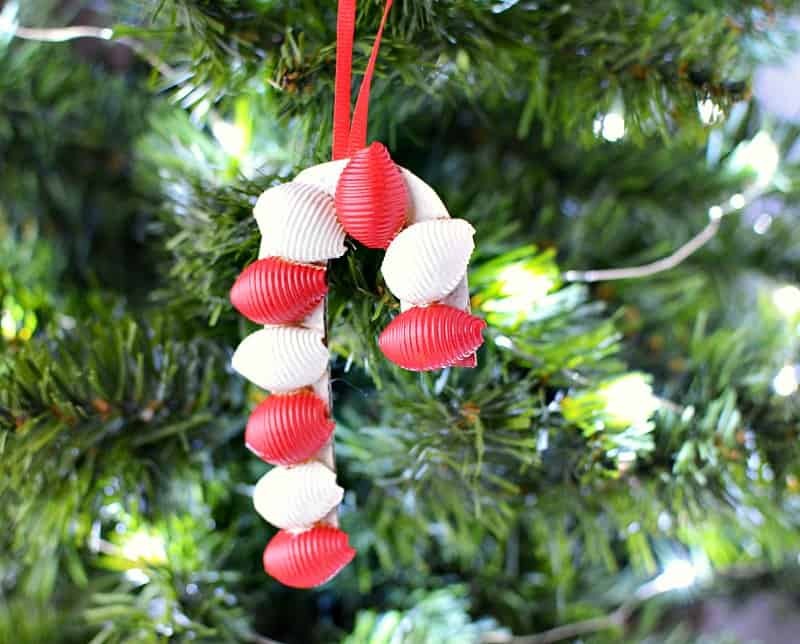 Attach a ribbon to the back of the ornament with glue and let dry before hanging. Congratulations your decorations is being featured this week on Oh My Heartsie Girls WW!! Thanks for sharing last week and hope you will join us again!! What a fun craft! I can see myself doing this with my grandchildren. Thanks for the cutes idea. 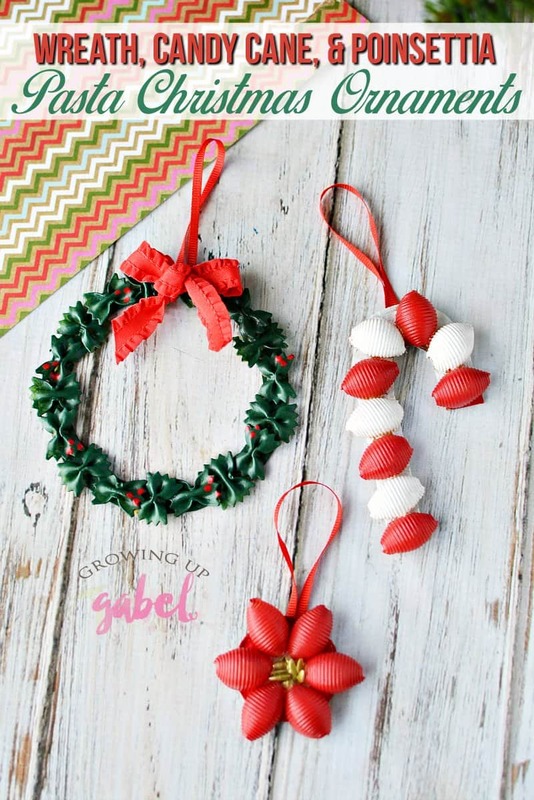 What a cute idea, I love the wreath the bows look like holy!. What a marvelous idea for Christmas! Amazing post!